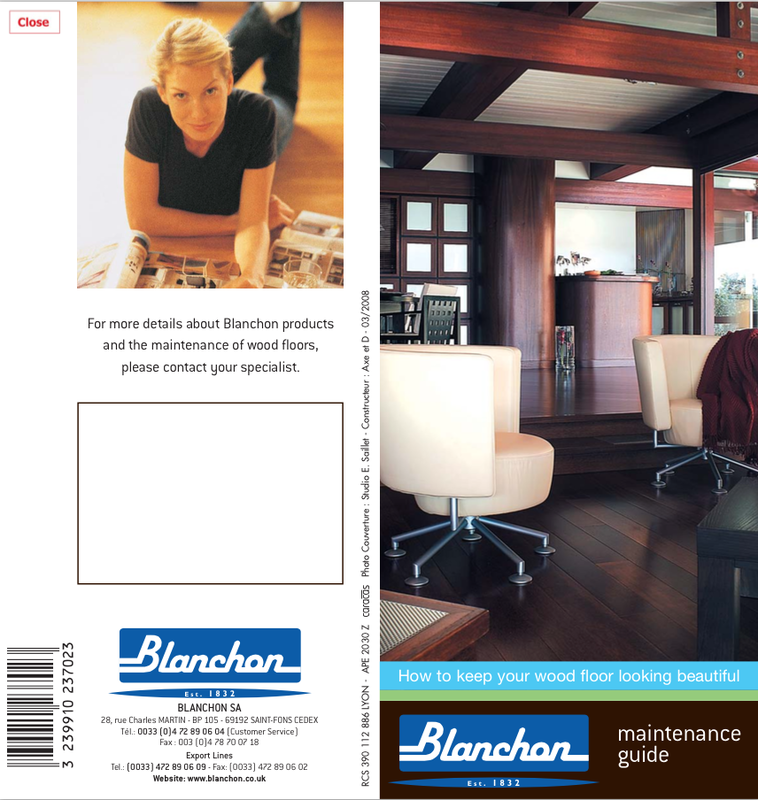 Welcome to our Technical Library. 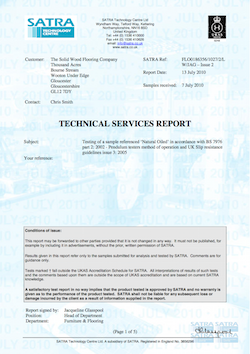 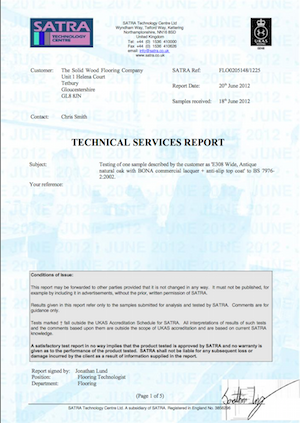 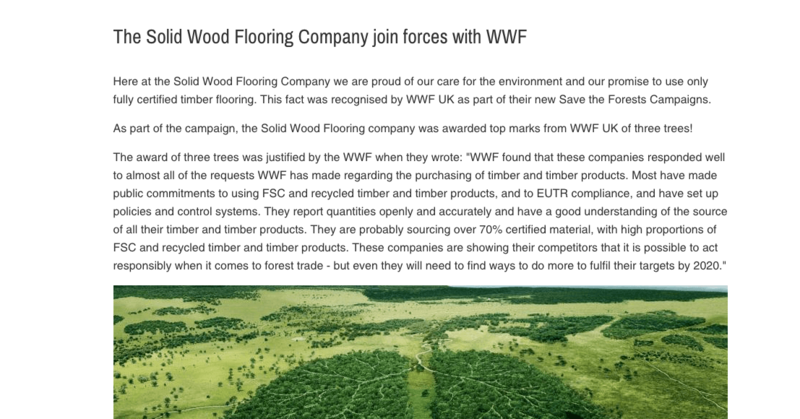 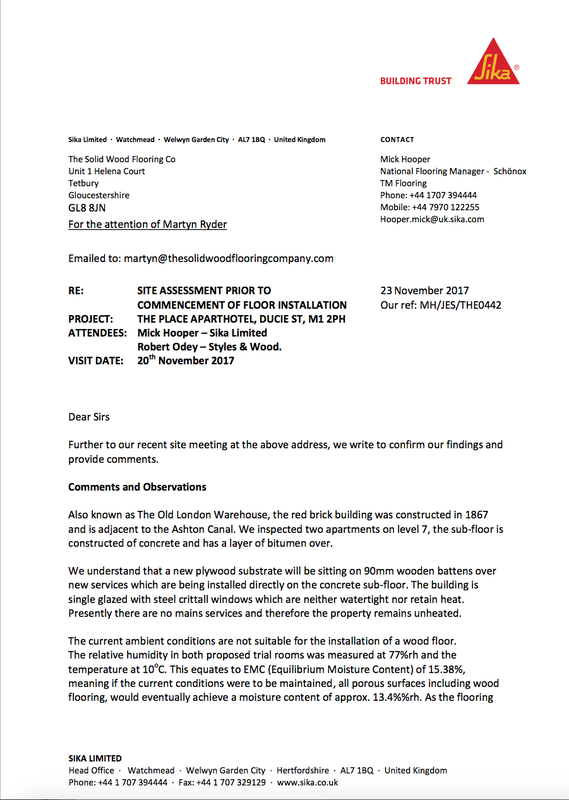 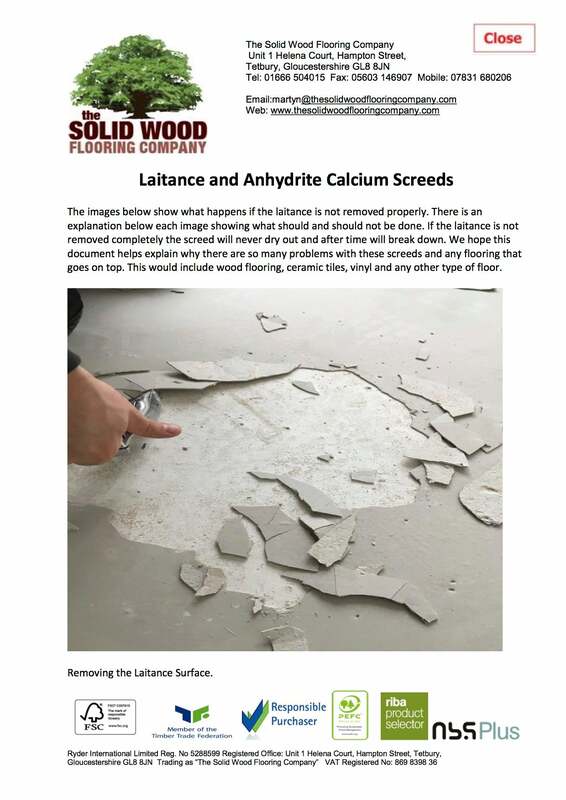 The library is a collection of all the wood flooring technical data, useful documents, PDFs and certificates that our experts have produced for Trade Professionals who are thinking about a wood flooring project. 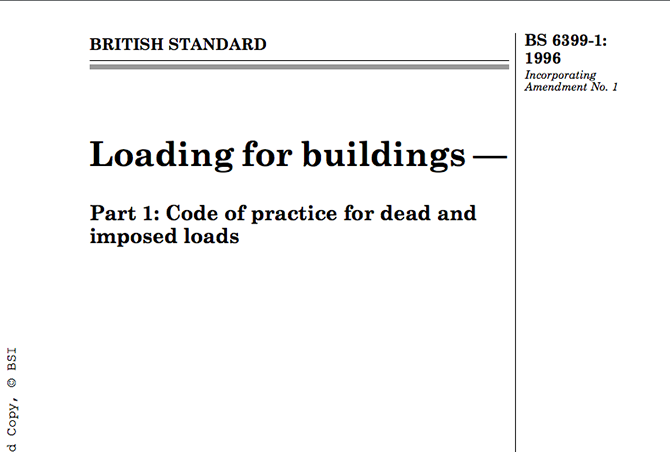 Please feel free to print a copy or share anything useful with colleagues. 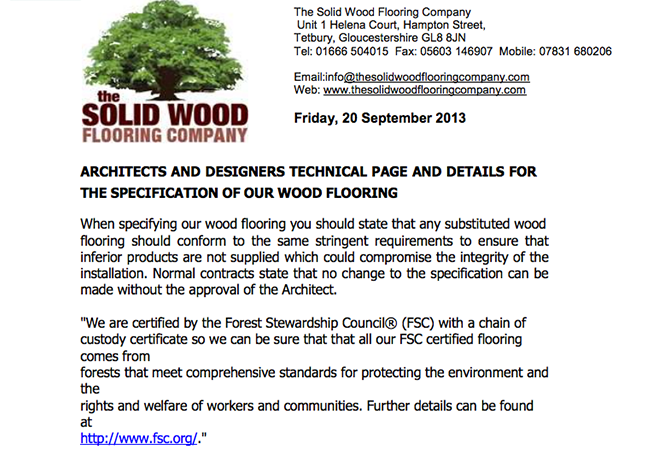 Consumer Terms & Conditions Trade Terms & Conditions Storage Fitting & Maintenance Why Use Solid Wood Flooring in the Home? 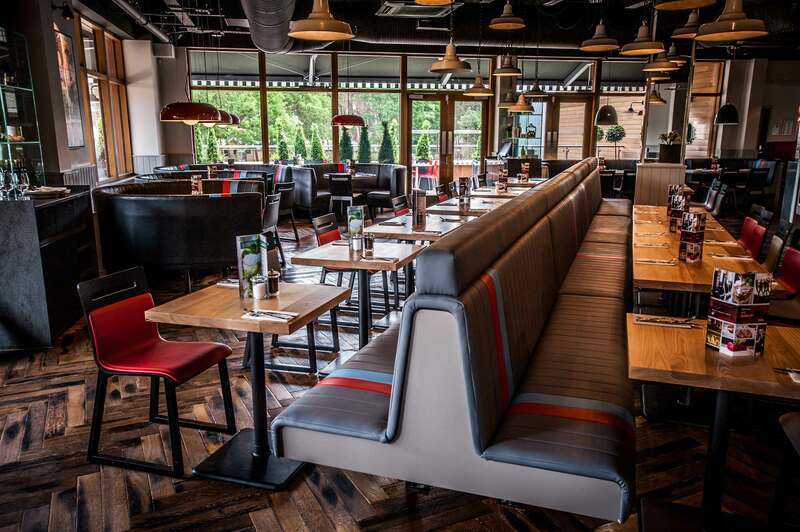 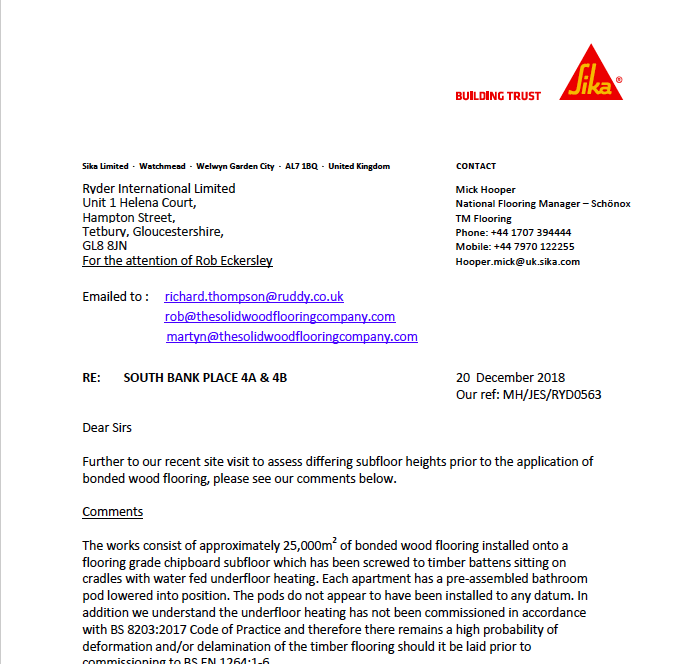 We ensure that all our wood floor finishes are tested for slip resistance as this is an extremely important issue when considering Health and Safety Issues. 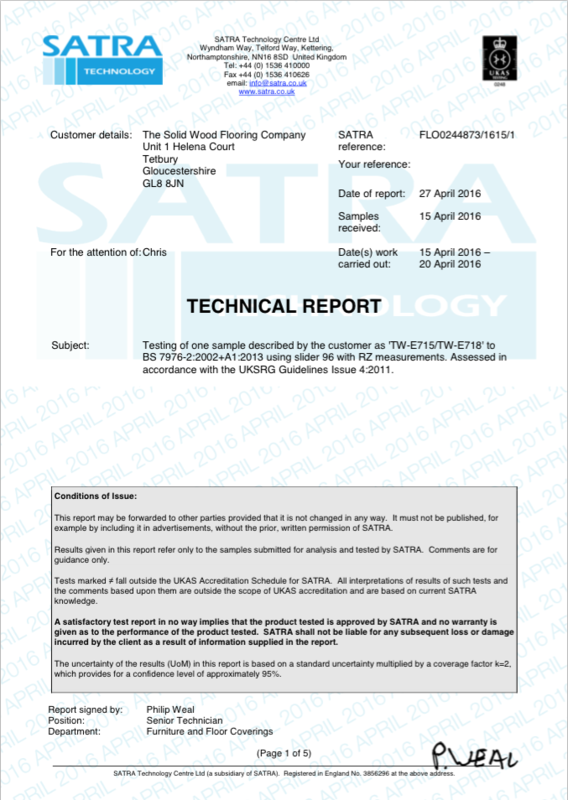 As we specialise in commercial projects and retail branding you can be guaranteed that these certificates relate to each of our finishes in independent test according to British Standards. 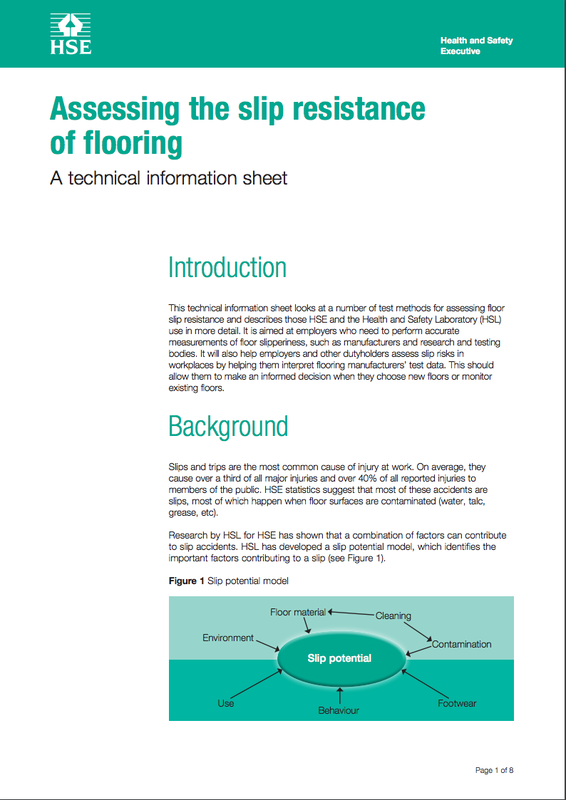 Currently there is no specific health and safety or legal requirement to specify slip resistance requirements on floors installed in residential units or homes. 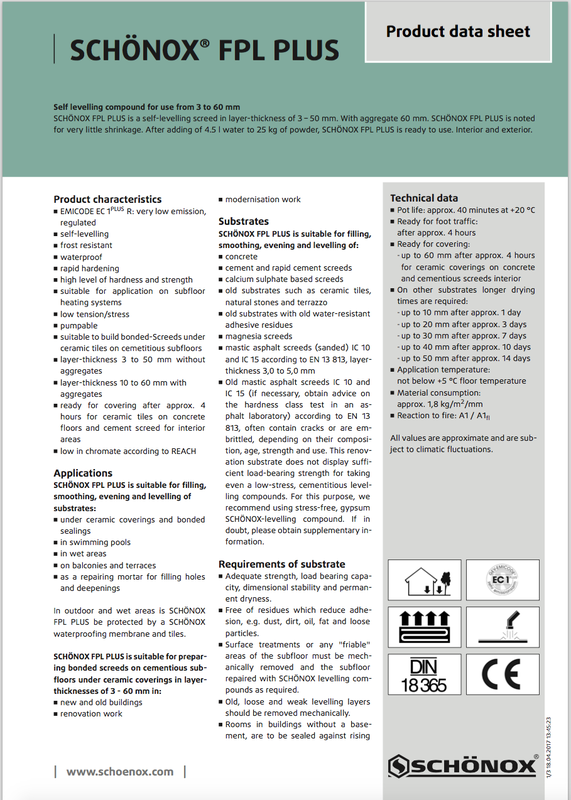 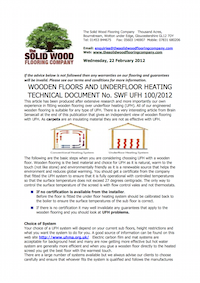 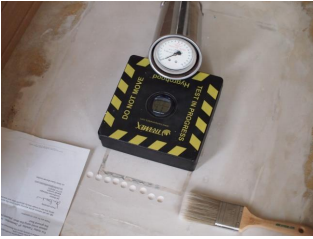 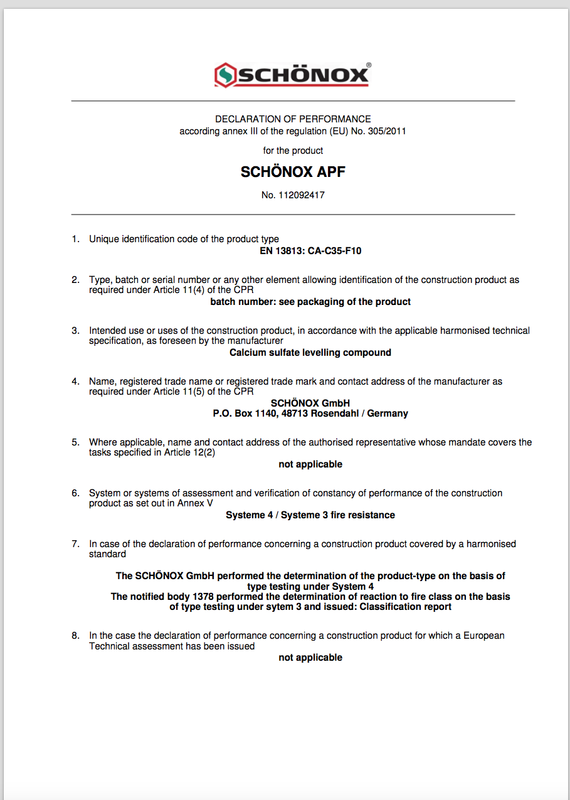 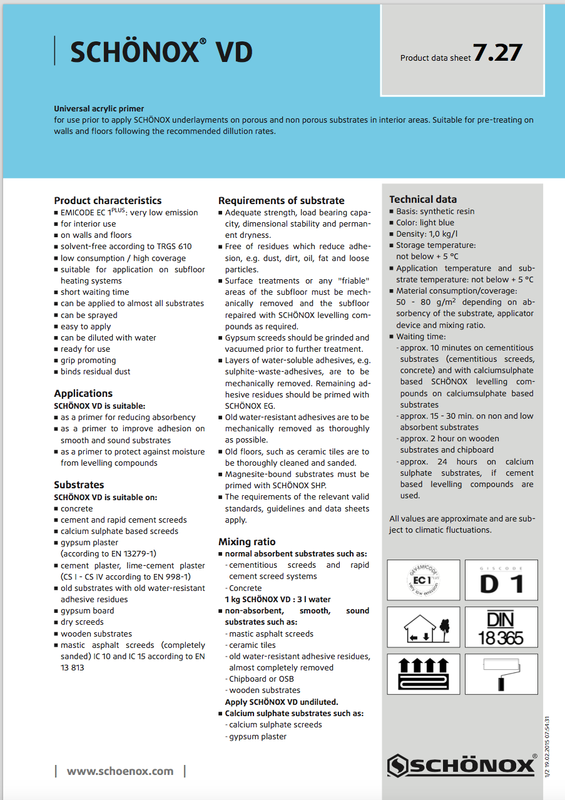 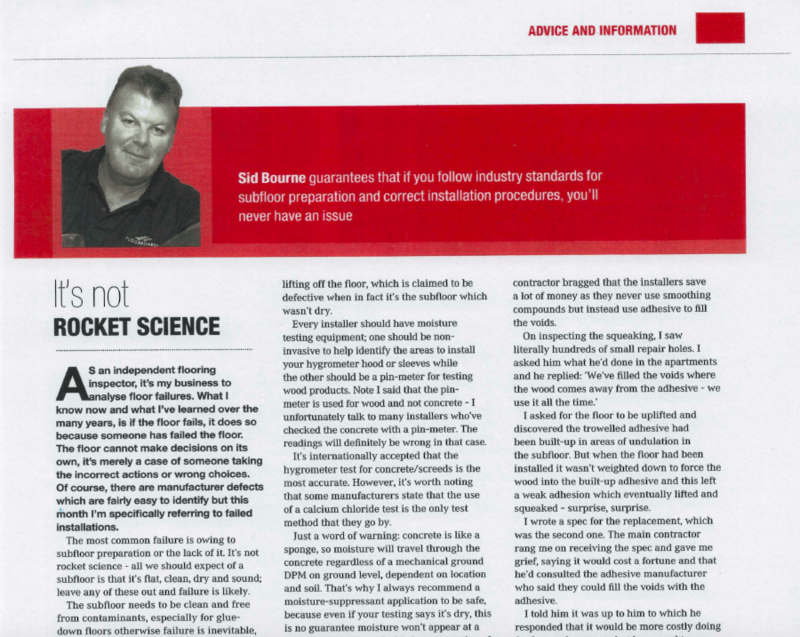 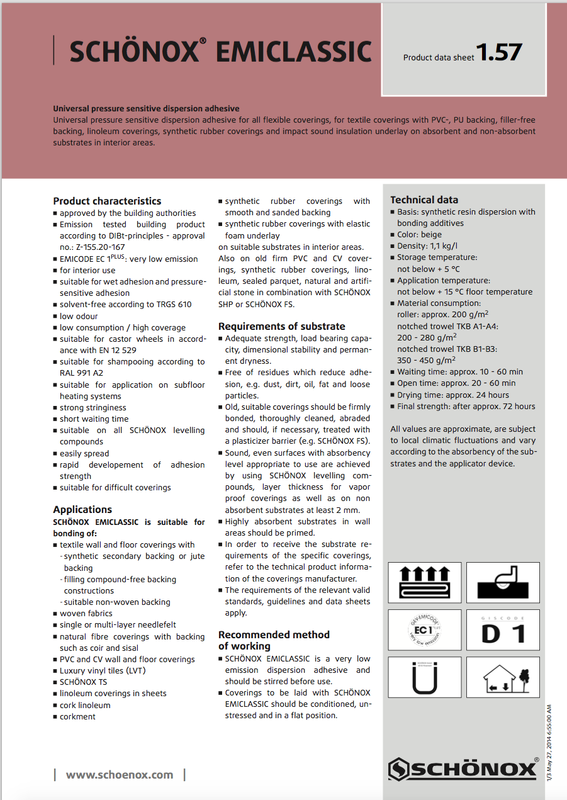 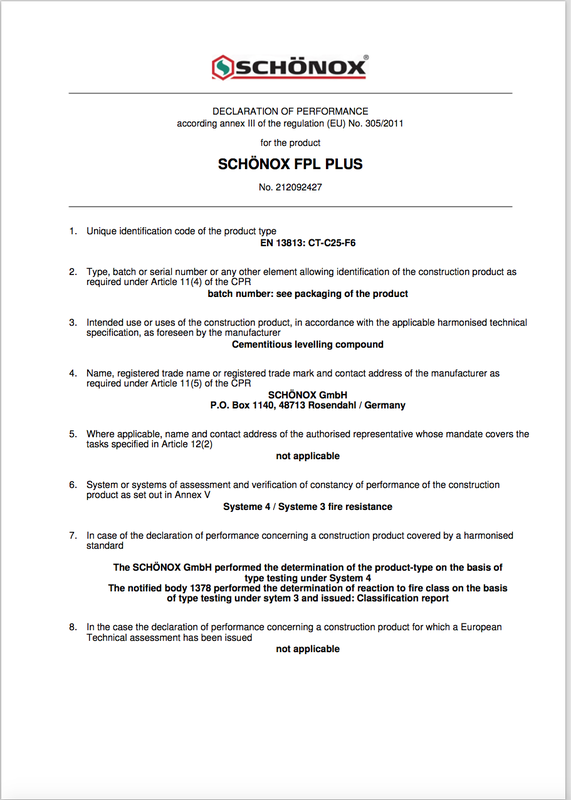 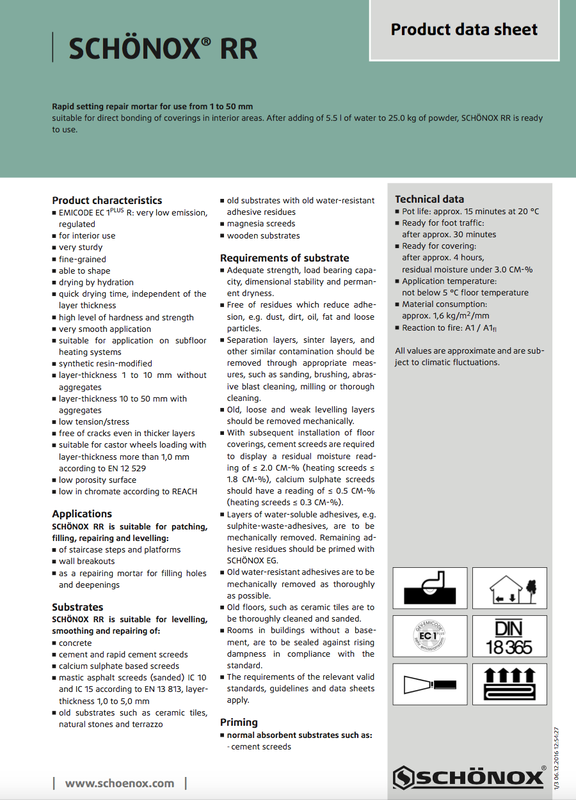 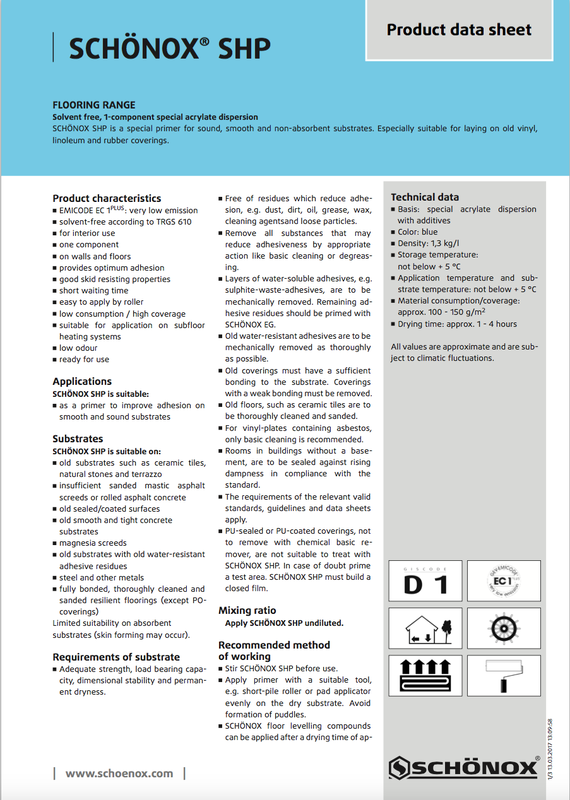 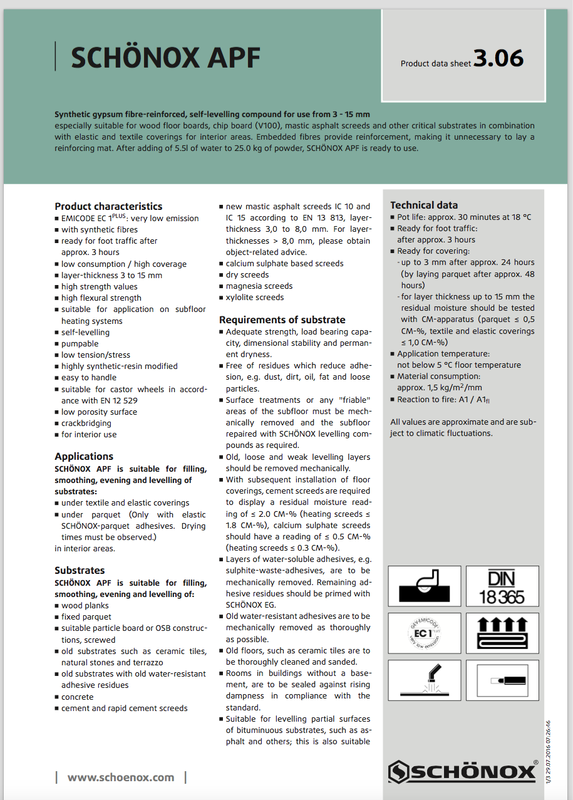 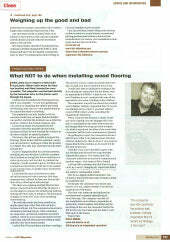 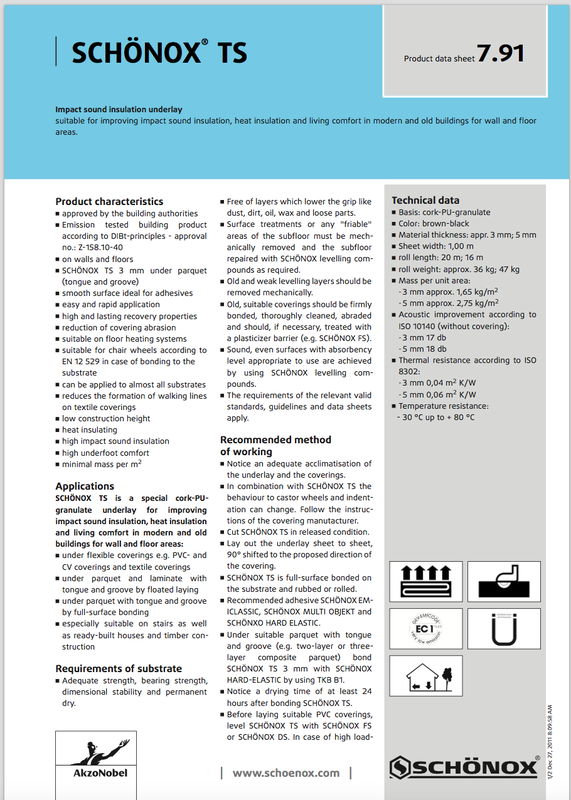 > Technical Explanation of slider 96 and slider 55 in HSE slip resistant tests. Timber has many qualities and the certificates and testing documents here show its main properties which will help when specifying timber for construction projects. 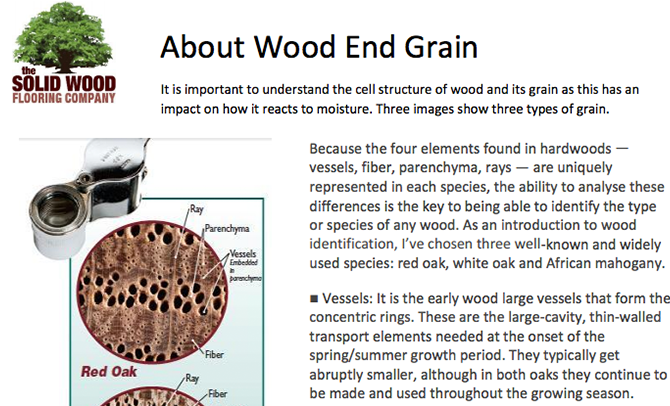 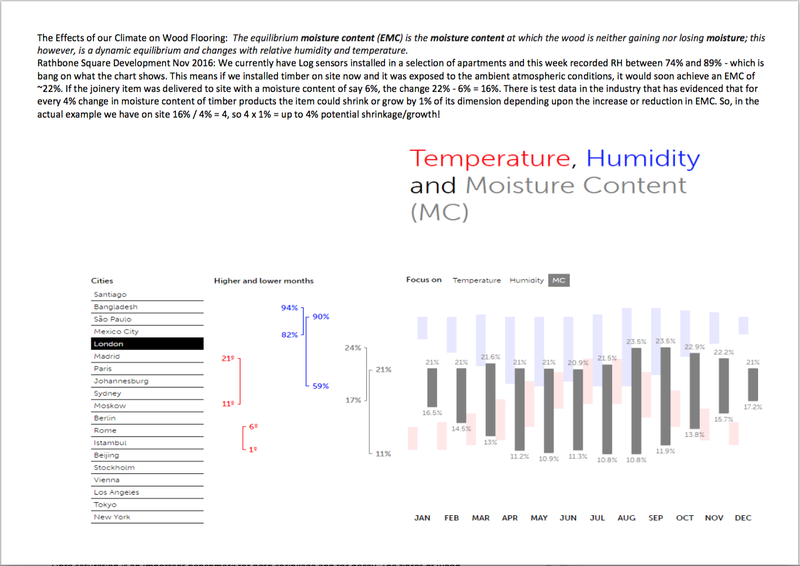 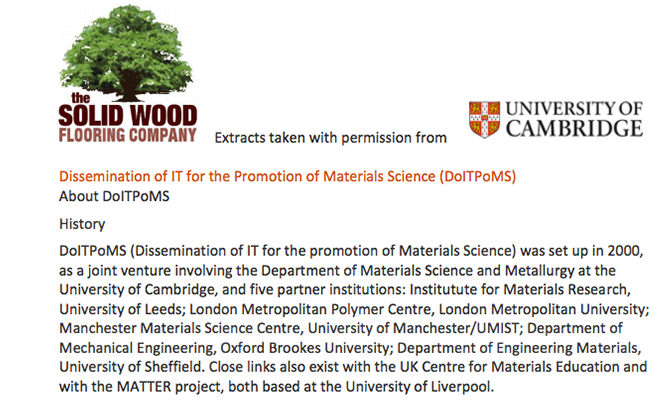 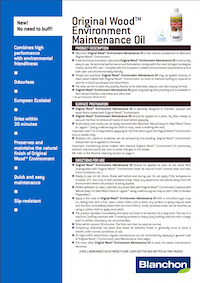 This section has documents to try and explain how wood reacts to its local environment to ensure that anyone who uses it, for whatever purpose, understands the impact of the local environment and conditions. 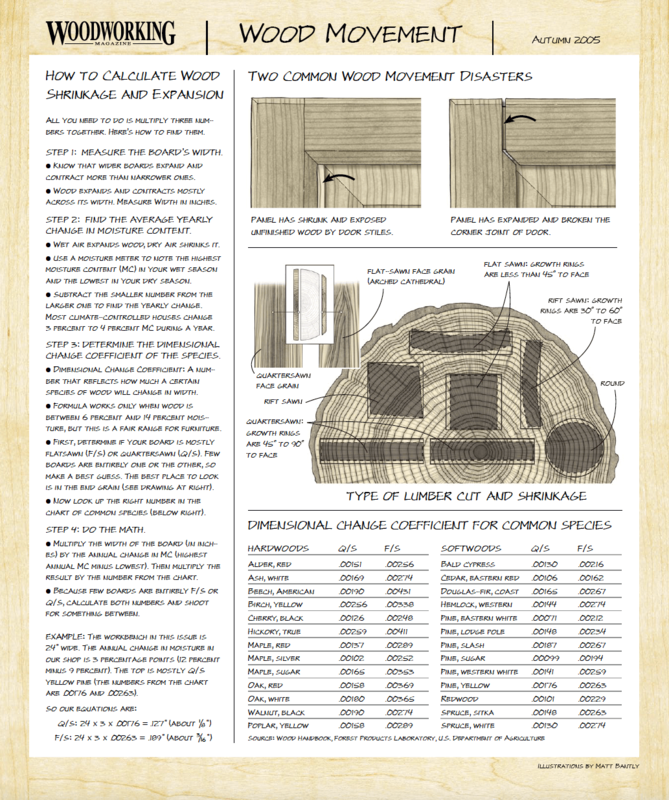 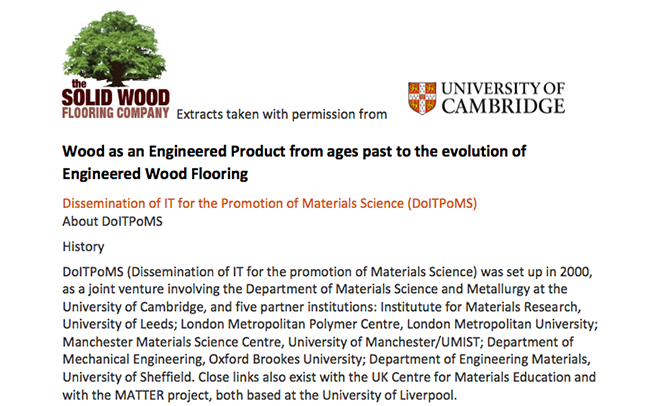 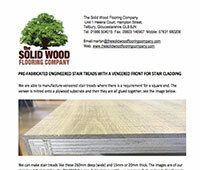 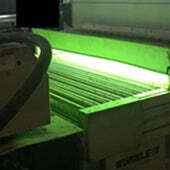 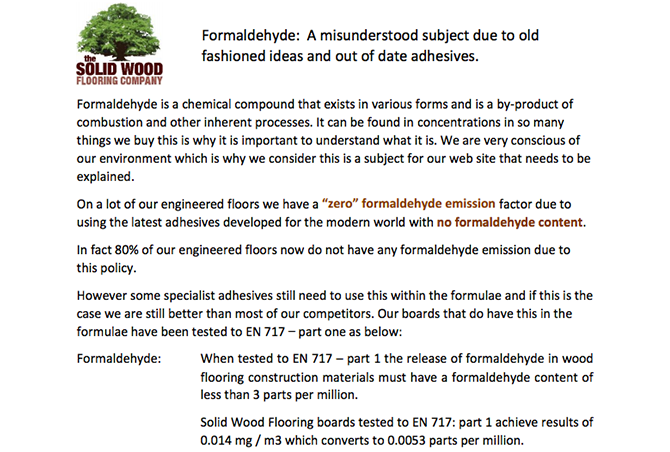 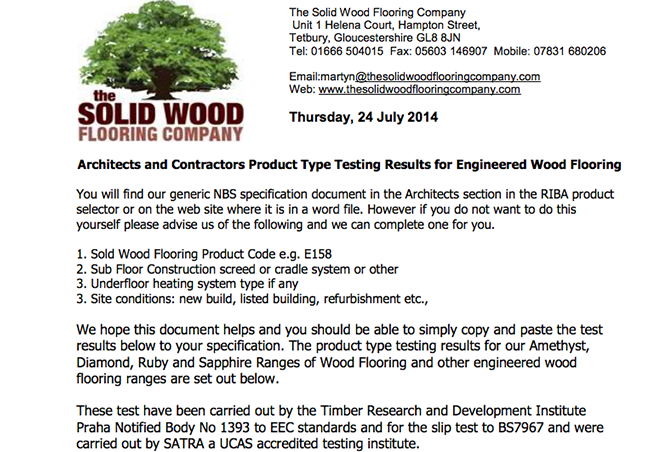 This section has documents to try and explain the different processes used to manufacture and finish wood flooring. 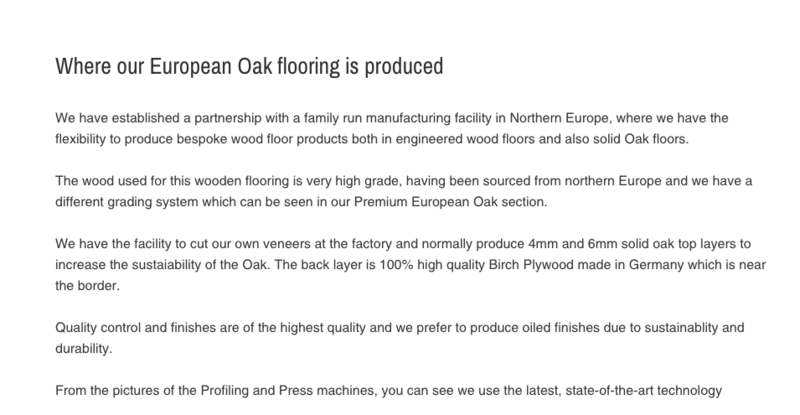 Here at the Solid Wood Flooring Company we have a team of expert craftsmen who use these same processes producing wood flooring every day. 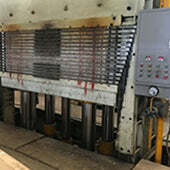 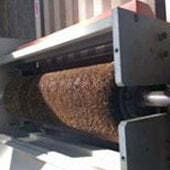 Visit our Manufacturing Processes page. 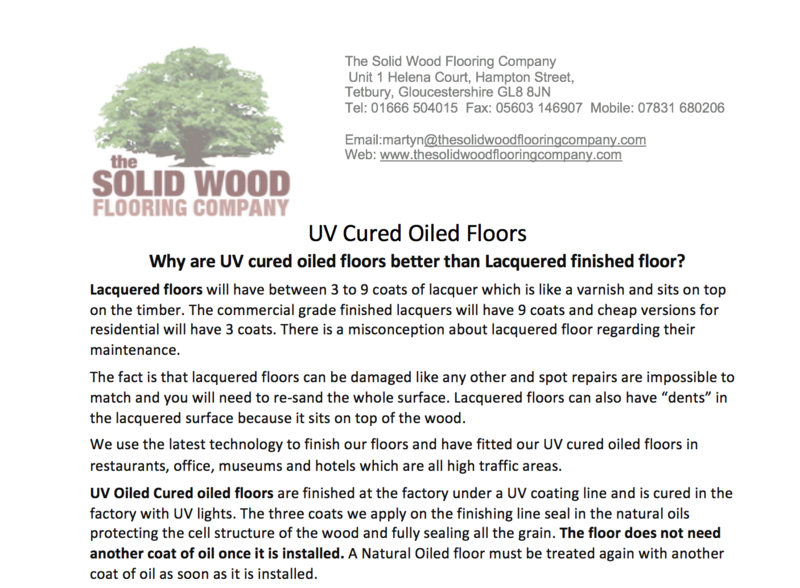 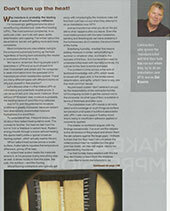 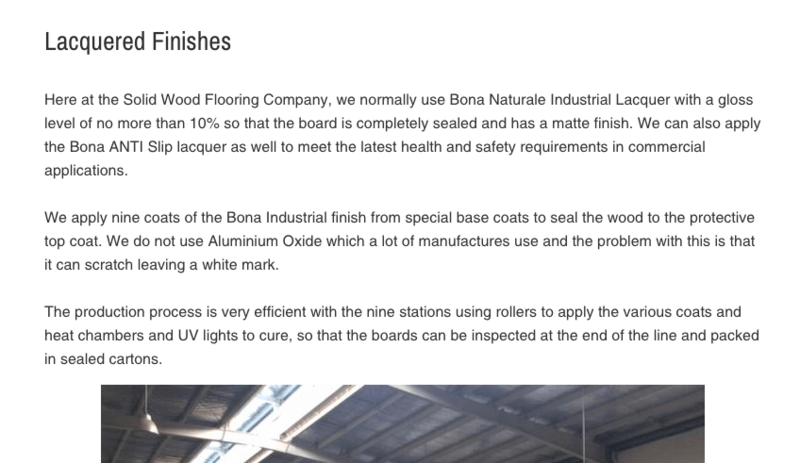 > Why are UV cured oiled floors better than Lacquered finished floor? 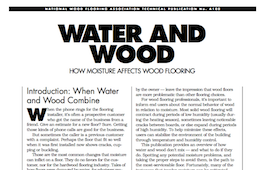 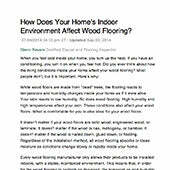 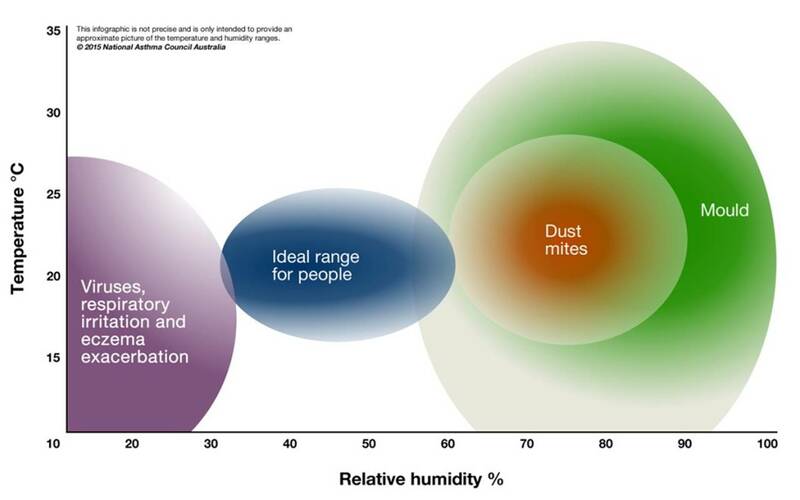 > How Does Your Home's Indoor Environment Affect Wood Flooring? 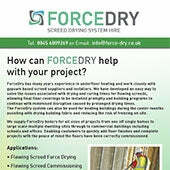 > How can FORCEDRY help with your project? 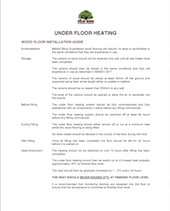 These guides are for information only and are produced to assist you in seeing whoever you have asked to fit your floor is professional. 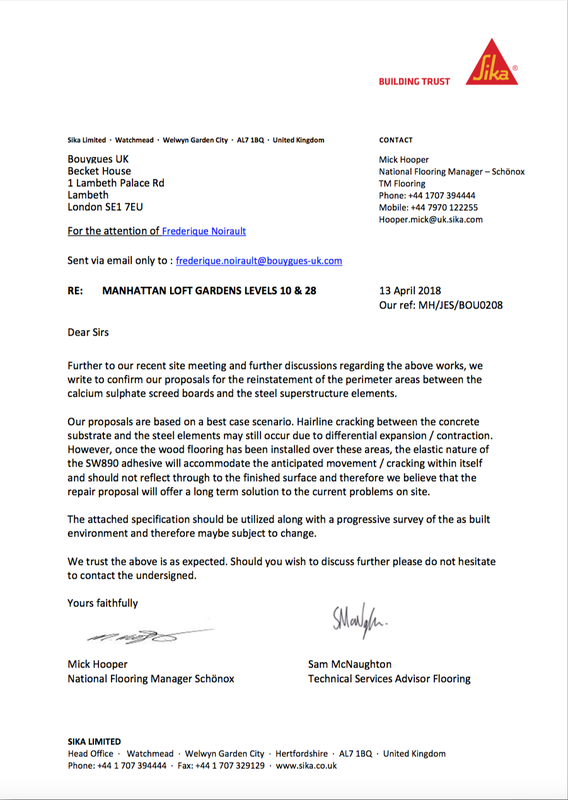 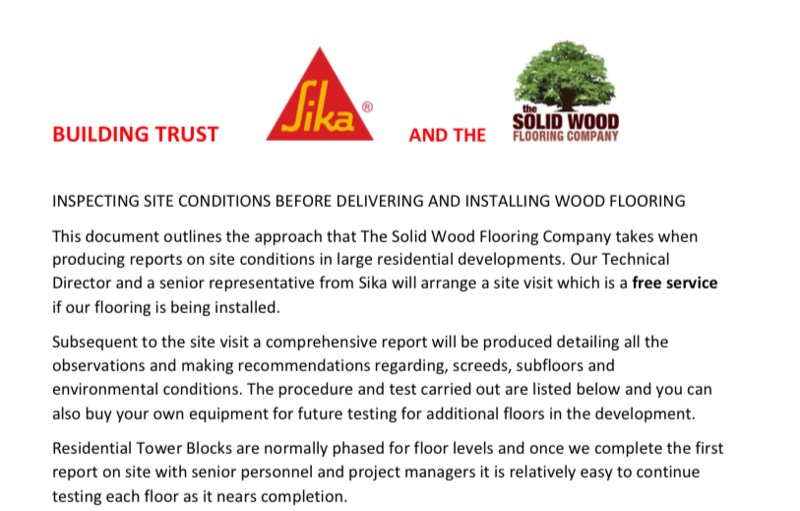 We have too many horror stories to tell where “jobbing” builders are used without any planning or assessment of subfloors and the environment. 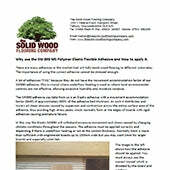 We are here to help so please call us or send an email. 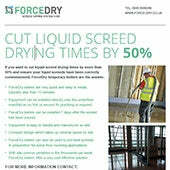 We do have specialist fitters available if required. 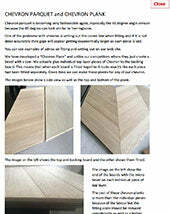 Visit our Fitting Wood Floors page. 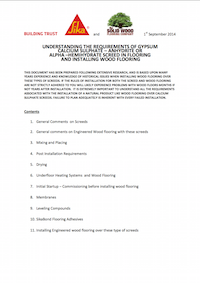 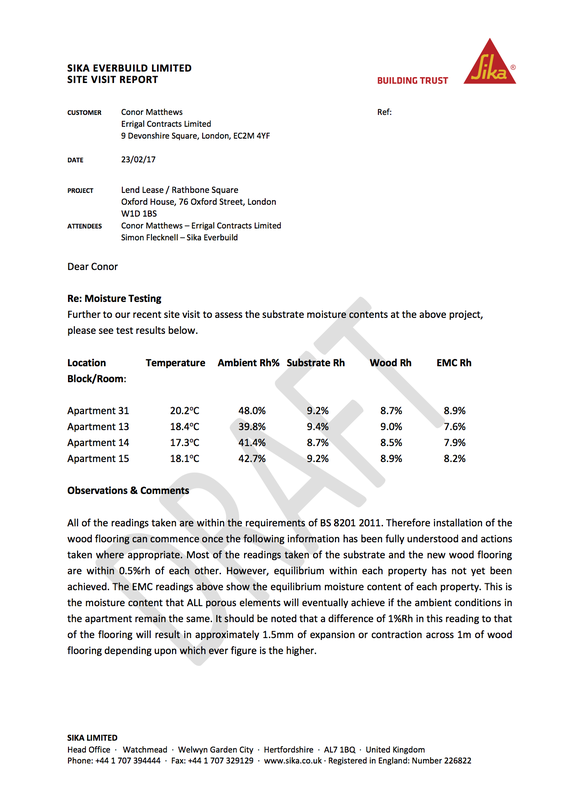 The documents found in this section have been brought together to help all our clients understand the issues surrounding professional installation of parquet flooring which is a specialist area in its own right. 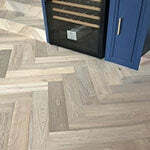 Installers of parquet blocks need different skills than those that fit normal planks. 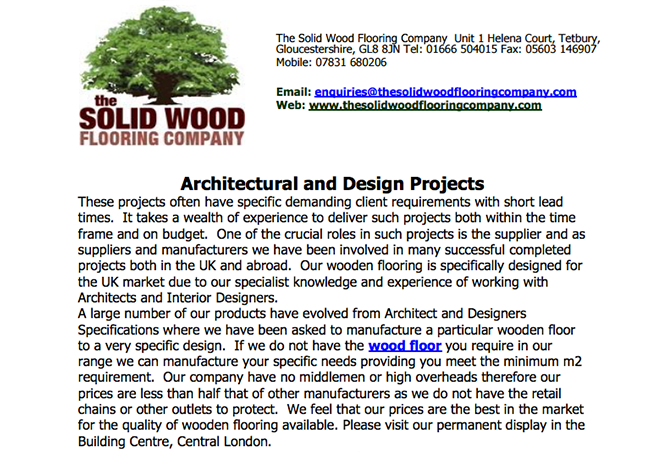 These documents are based on our years of experience in supplying and fitting parquet floors. 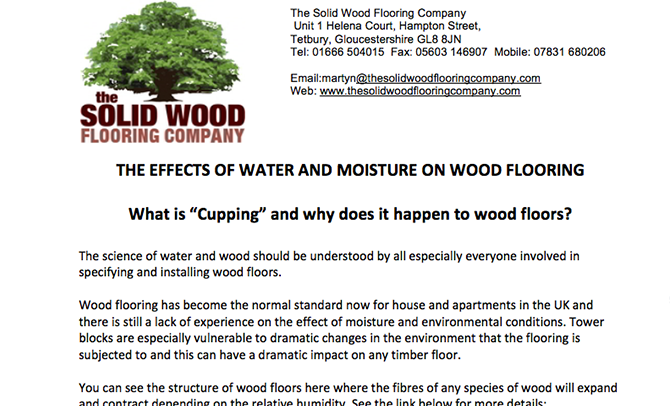 For further advice please call us on 01666 504015. 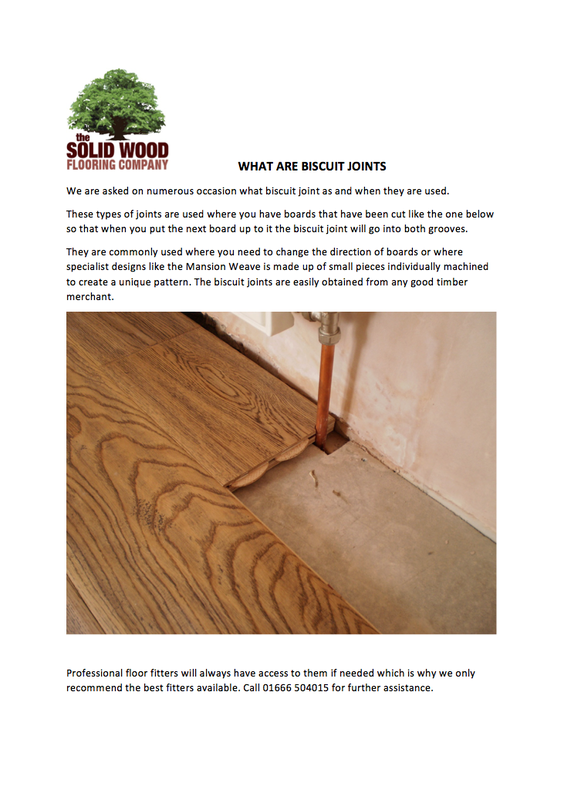 Visit our Fitting Wood Floors page. 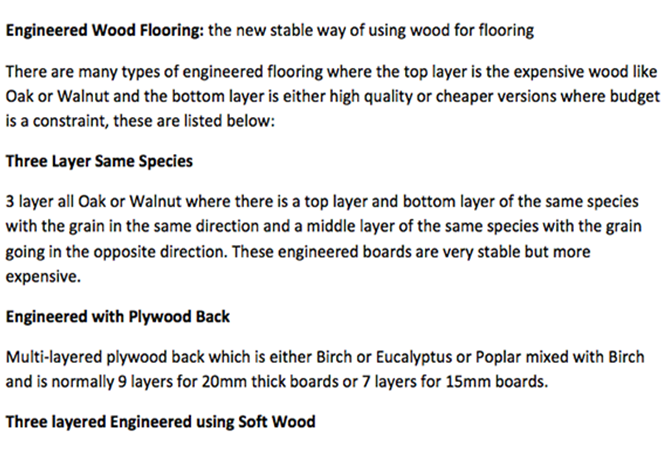 Everyone seems to have different methods of grading wood floors and what we have tried to do here is explain in simple terms along with images what each grade means. 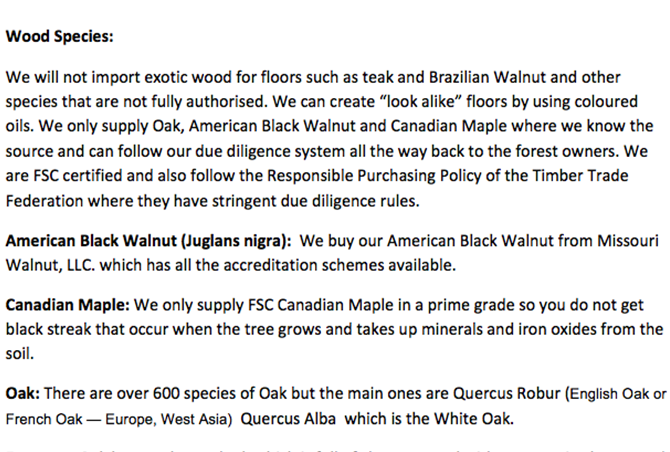 White Oak differs from European Oak, and Oak grown in the north of the northern hemisphere will differ from the Oak grown in the south of France for example. 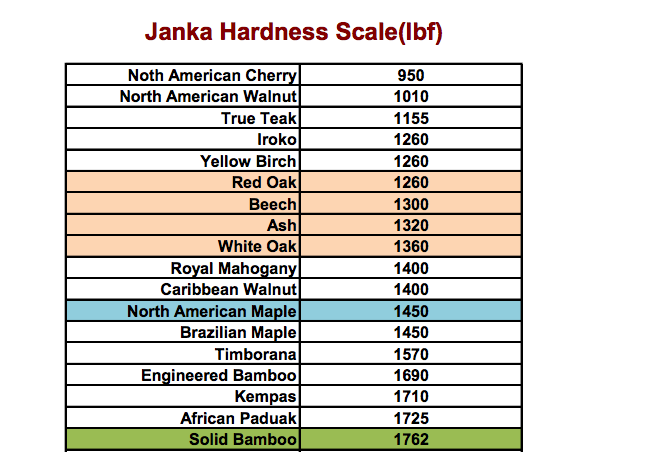 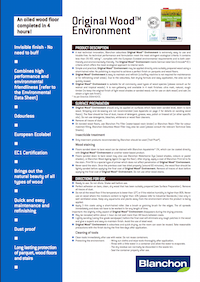 Visit our Specifications and Grading page. 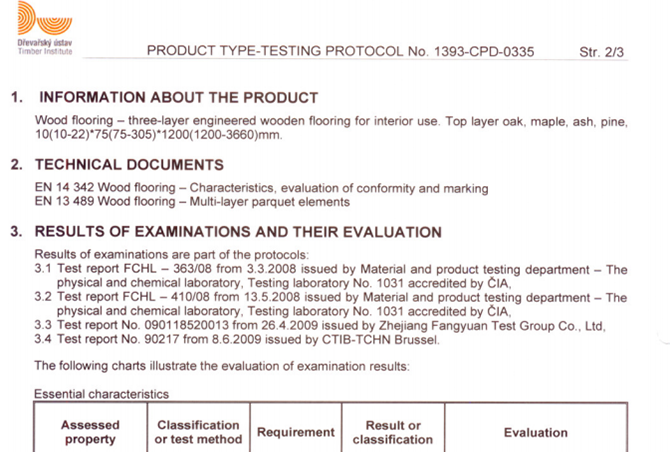 Prime Grade clean material that is FSC 100% is become very difficult to source and we have upgraded our grading documents accordingly. 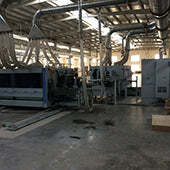 There are numerous systems available now with companies bringing out new products every month. 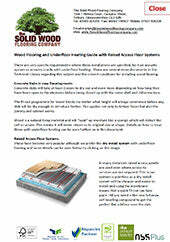 The Romans used Underfloor Heating in Britain centuries ago and it is now one of the most popular heating systems used. 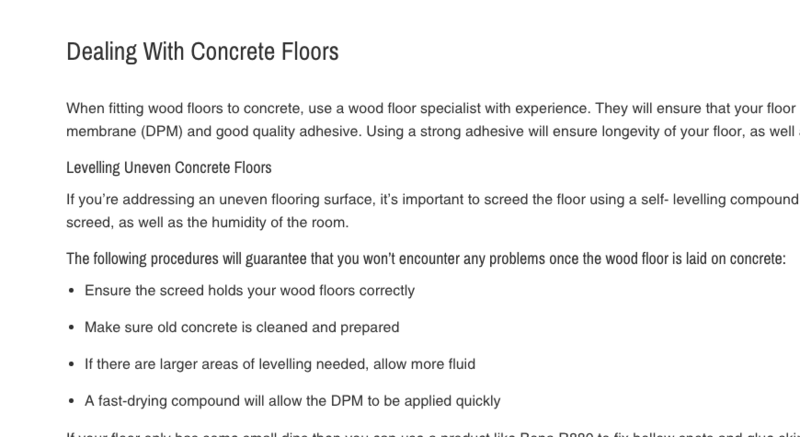 It is imperative to have the correct controls in place whatever you are going to finish your floor with. 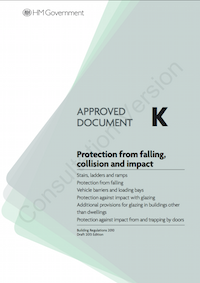 The documents here offer guidance and advice but do not recommend any particular system. 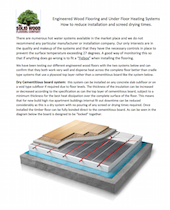 Visit our Under Floor Heating page. 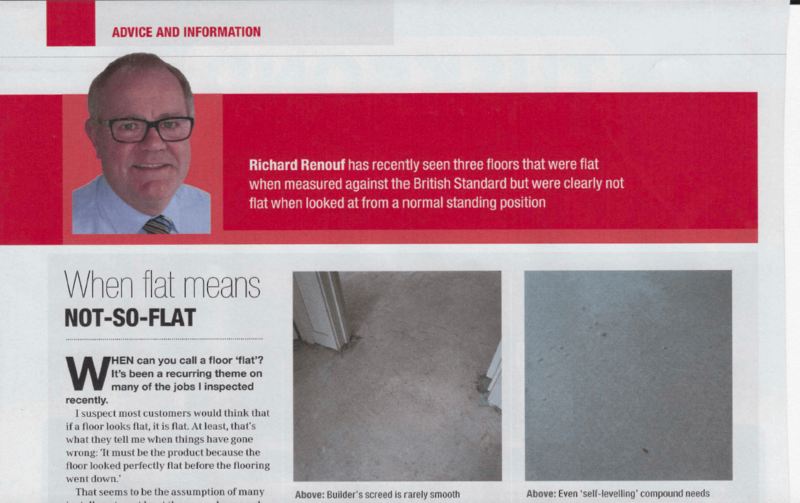 As the title dictates, we are here to help and the tiles below may be relevant to some of your questions, however always feel free to call our team of experts on 01666 504015. 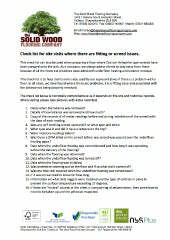 Visit our Advice page. 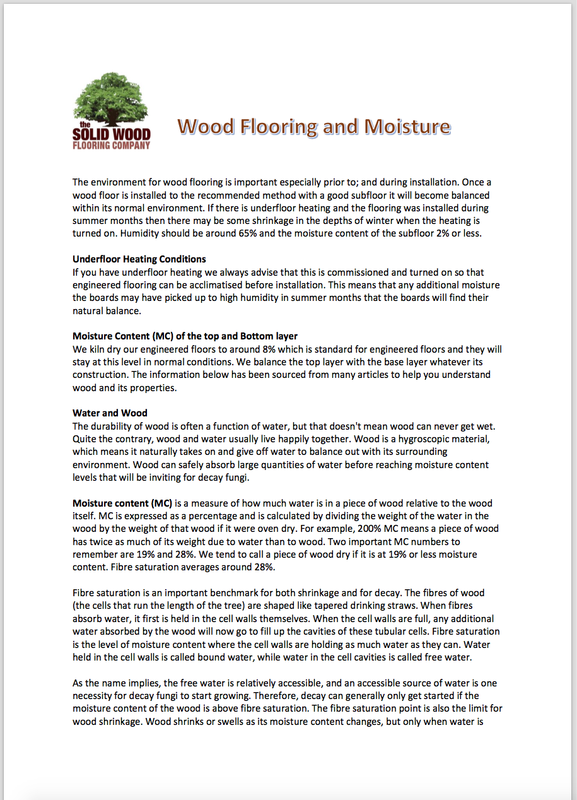 As manufacturers, here at the Solid Wood Flooring Company, our expert team of craftsmen are constantly creating new wooden flooring that not only follows the latest trends, but creates them.